In December 2015, a salvage excavation was conducted in a private lot in the Shuʽfat neighborhood of Jerusalem (Permit No. A-7582; map ref. 221722-76/636127-51), prior to development work. 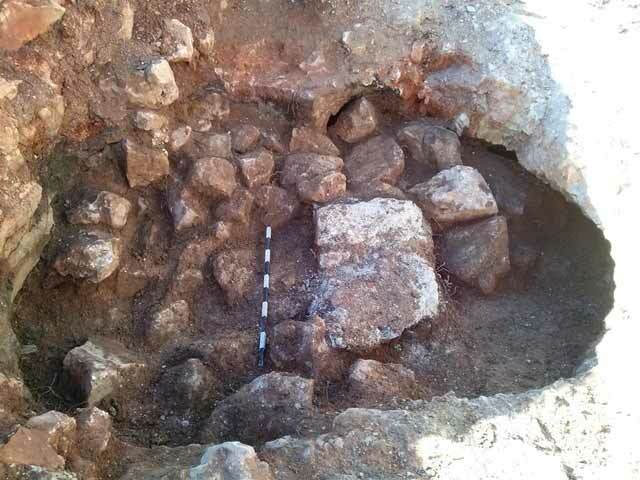 The excavation, undertaken on behalf of the Israel Antiquities Authority and funded by Mr. Abbas Sliema, was directed by D. Yeger, with the assistance of N. Nahama (administration), M. Kahane (surveying and drafting), R. Bar-Nathan (ceramics), I. Lidsky-Reznikov (pottery drawing) and B. Touri. 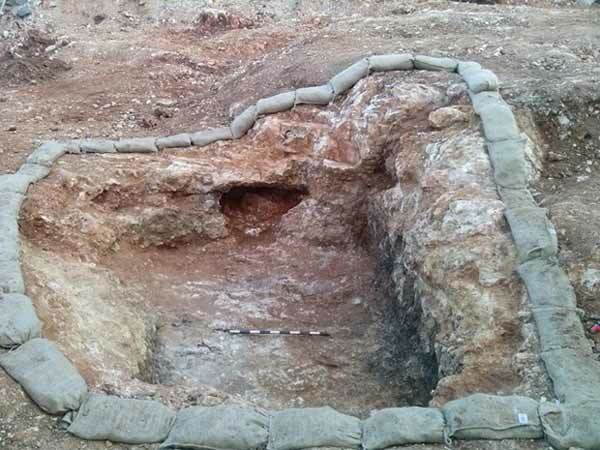 The excavation was carried out on the eastern side of Shuʽfat Street (Fig. 1). 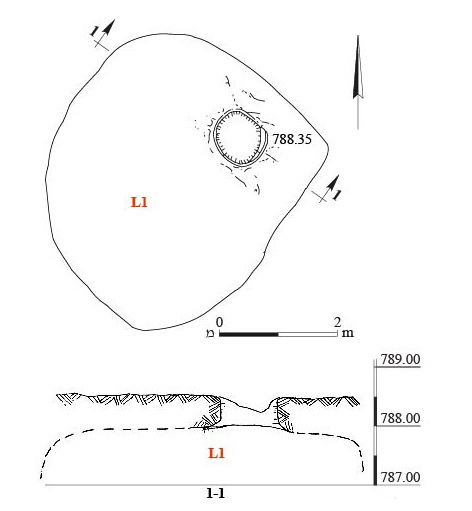 Trial trenches dug by mechanical equipment exposed a rock-hewn ritual bath (miqwe; L9; Fig. 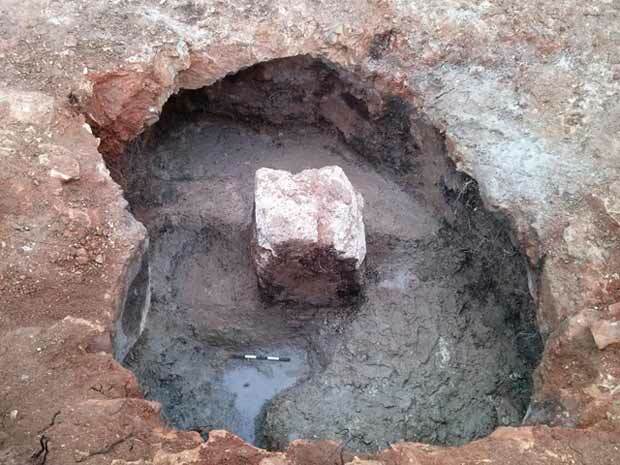 2), two hewn cisterns (L1, L3) and a rock-cutting during an antiquities inspection carried out prior to the excavation. Settlement remains dating from the Second Temple period until the Byzantine period were exposed along Shuʽfat Street; this settlement reached it apex during the Roman period, between the two revolts (70–130 CE). After the Bar Kokhba Revolt, the site was abandoned or destroyed to be re-inhabited on a smaller scale later in the Roman period (second–fourth centuries CE). 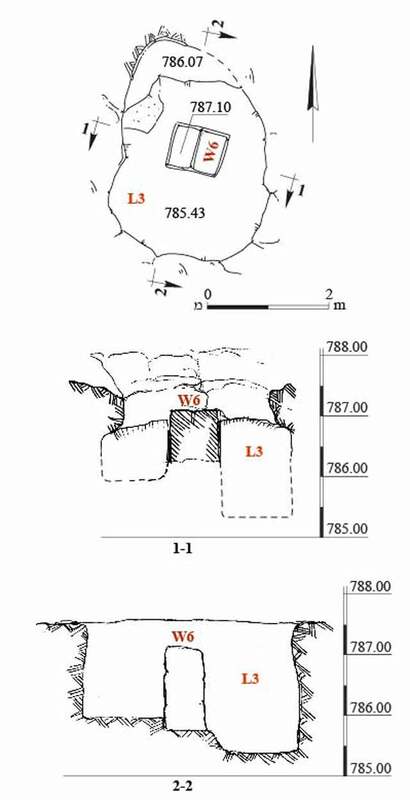 During the Mamluk period, agricultural terraces were built in the area and were covered with topsoil (Bar-Nathan and Sklar-Parnes 2007:57; Permit Nos. A-3955, A-4120). Agricultural terrace retaining walls dating to the second–fourth centuries CE were recently exposed west of Shuʽfat Street (Yeger 2016, see references cited therein). 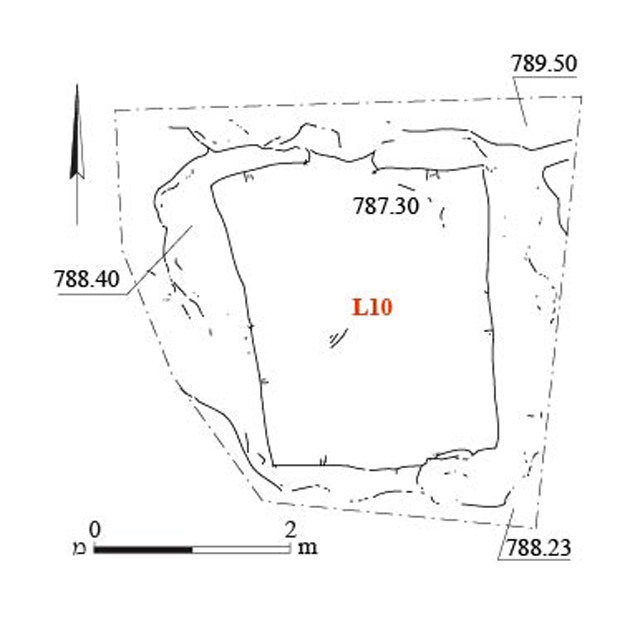 A survey conducted in the past documented settlement remains ascribed to the Iron Age I–II and the Hellenistic, Roman, Byzantine and Ottoman periods at nearby Givʽat Shaul (Tell el-Ful) and Khirbat es-Soma (Kloner 2001: Sites 79, 87). Ritual Bath (Miqwe). The miqwe included a round immersion pool (diam. 1.8 m, max. depth 1.2 m; Figs. 3, 4) treated with light gray plaster and five steps that descending into the pool. Meager remains of a rock-cut channel likewise treated with the same plaster coating the pool were discovered to the south, next to the steps; this was apparently the feeder channel that supplied water to the miqwe. Terra rossa soil had accumulated inside the miqwe. Cisterns. Cistern 1 (3.5 × 4.0 m, max. depth 1.5 m; Fig. 5) was recently enlarged and plastered and converted for use as a cesspit (pers. comm. from the owner of the lot). The opening of the cistern was oval (0.7 × 0.9 m). The ceiling of the cistern was removed with a backhoe during the excavation; however, the cistern itself was not excavated because it was full of sewage. Cistern 3 was oval (2.5 × 3.5 m, max. depth 2.1 m; Figs. 6, 7) and had a supportive central pillar preserved to a height of three courses (W6). The northern half of the bottom of the cistern was higher than the southern half, and a step was hewn between the two parts; the pillar was constructed on this step. The cistern and the pillar were treated with a thick application of dark gray plaster containing white inclusions. An intentional fill of large fieldstones was discovered inside the cistern, filling it from the bottom to the top of the pillar (Fig. 8). Rock-Cutting. A rectangular rock-cutting in a bedrock outcrop (2.5 × 3.0 m, max. depth 1.2 m; Figs. 9, 10), apparently a rock-hewn pool, was uncovered. Neither chisel marks nor plaster were discerned. A scant amount of soil had accumulated in the rock-cutting. Pottery sherds dating to the Roman period between the revolts (70–135 CE) were found. These included ledge-rimmed kraters (Fig. 11:1–3), casseroles (Fig. 11:4, 5), cooking pots (Fig. 11:6, 7), an amphora (Fig. 11:8), jars (Fig. 11:9–16) and jugs (Fig. 11:17, 18). The remains exposed in the excavation are part of a Jewish settlement from the Roman period, from the time between the revolts, parts of which have been revealed in the vicinity in recent years. 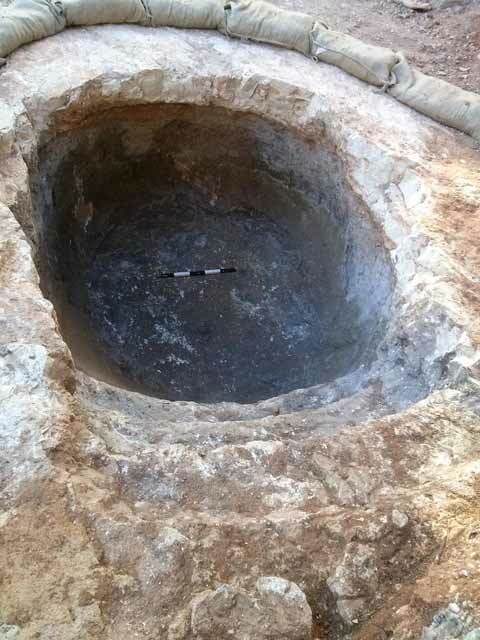 It is possible that the intentional stone fill inside Cistern 3 was the result of the deliberate destruction of the settlement during the Bar Kokhba Revolt or subsequent to it. Remains of a bathhouse were exposed west of the site (Permit No. 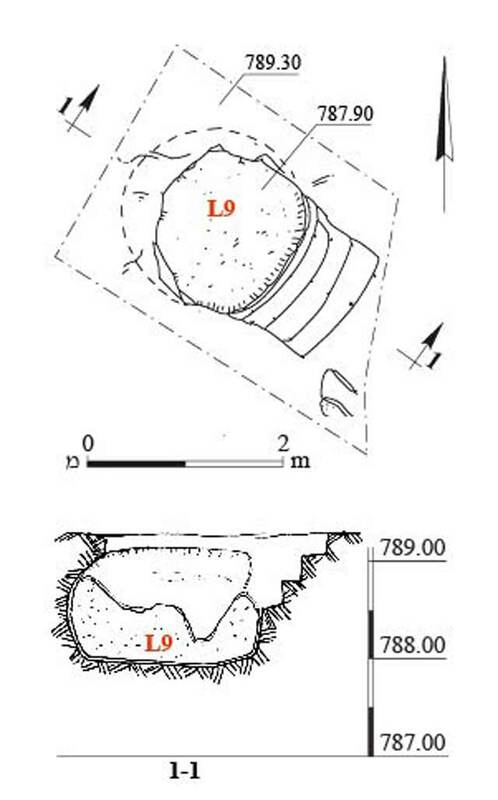 A-4965) and it is possible that the remains uncovered in the current excavation were part of this bathhouse. Bar-Nathan R. and Sklar-Parnes D. 2007. A Jewish Settlement in Orine between the Two Revolts. In J. Patrich and D. Amit eds. New Studies in the Archaeology of Jerusalem and Is Region: Collected Papers 1. Jerusalem. Pp. 57–64 (Hebrew). Kloner A. 2001. 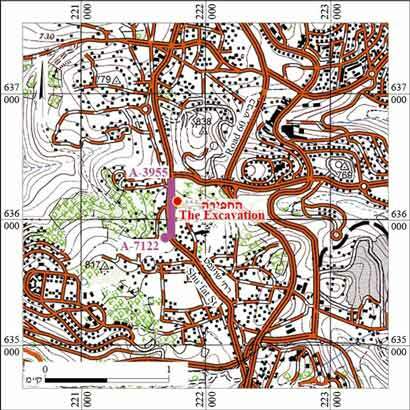 Map of Jerusalem, the Northeast Sector (102) (Archaeological Survey of Israel). Jerusalem. Yeger D. 2016. Jerusalem, Shuʽfat. HA-ESI 128. 3. 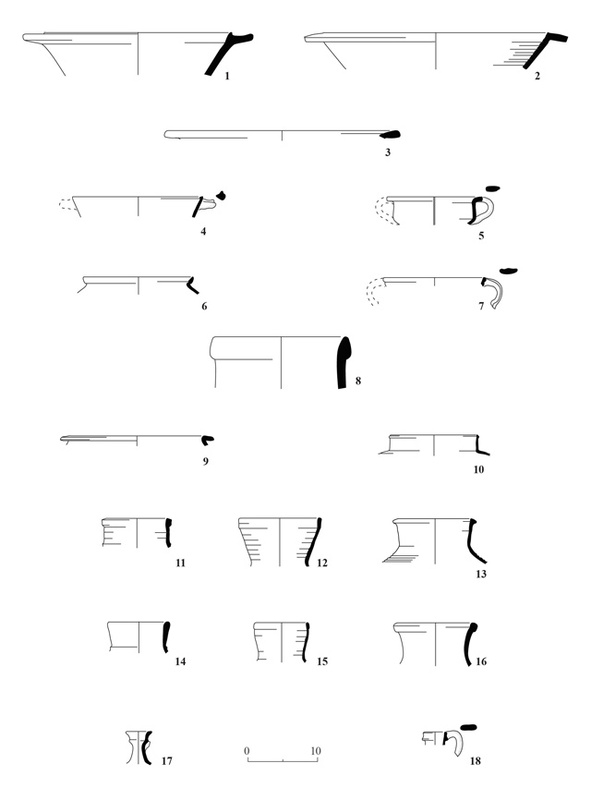 Ritual bath (miqwe), plan and section. 4. Ritual bath (miqwe), looking northwest. 5. Cistern 1, plan and section. 6. Cistern 3, plan and sections. 7. Cistern 3, looking north. 8. Stone fill in Cistern 3, looking west.